Installing Windows 7 was not a piece of cake as Microsoft is pushing desperately Windows 107. Detailed installation instructions with driver download links follow this walk-through. The first challenge was getting USB to work. Windows 7 does not support USB 3, and Vostro has only USB 3 ports meaning that none of the USB ports are functional before the drivers are installed. We used Ubuntu live image and two USB pen drives to transfer the drivers. After USB started working, installing all the rest of the drivers was a trivial task... almost. Driver packages and updates provided by Dell kept crashing and messing up the system. Installations were interrupted with undocumented error messages, and finally the system got so messed up that we had to re-install Windows 7. On the next round, we stripped the drivers out from Dell update packages. This way, and by gathering drivers from original component manufacturers, we managed to get everything installed. The only issue left was the system that crashed every 30-60 minutes, but updating BIOS stabilised the system. 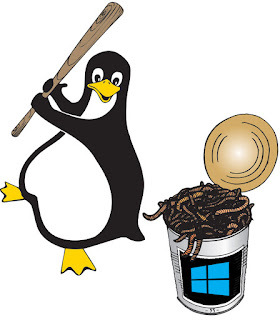 Before you start, you need to have A) one extra computer for downloading and creating boot drives, B) two pen drives or external hard drives, C) Windows 7 installation iso image, D) Ubuntu desktop iso image, and E) YUMI-2.0.2.0.exe for creating bootable pen drive. Use YUMI to create a multiboot pen drive or hard disk including both Ubuntu 64bit Desktop iso and Windows 7 images. To boot your Vostro from the pen drive, turn on Legacy Boot Support. Press F8 when your laptop boots, select to boot from your pen drive, select Windows, and install. At least Windows 7 Ultimate 64bit SP1 installed smoothly. Next you need to install USB 3 drivers. Download the driver from Intel website and unzip it to one of the pen drives. Then boot the laptop from the multiboot pen drive and boot Ubuntu live selecting Try Ubuntu without installing. When the live system is up and running, insert the other pen drive to copy USB 3 driver files to the Windows installation partition on the laptop's hard drive. Ubuntu mounts both devices automatically. Then boot the system back to Windows and install USB 3 drivers. (*) DUP = Dell Update Package: Open DUP using 7zip (select Open Inside). Extract 3rd party drivers and applications to bypass Dell's scripts before installing drivers. You must secure your Windows 7 installation before connecting to internet. Otherwise Microsoft will override your computer with Windows 10 and other malicious updates. Keep all virtualisation settings enabled in BIOS, or otherwise Ubuntu will fail to boot leaving Caps Lock blinking. Note that installing USB 3 drivers from an SD card will not work, as the card reader requires USB drivers to function. The Dell Vostro 14 V5459-50814G-DOS laptop is shipped with factory installed Ubuntu GNU/Linux, not DOS. If you want to keep Ubuntu, make Dell-Ubuntu recovery image in Ubuntu and place it to a pen-drive. To restore Ubuntu, install Ubuntu with Windows 7, or return the laptop to factory condition using the image, press F12 at the boot time and select booting from USB pen drive. These instructions were originally published at https://paivisanteri.blogspot.com/2016/ ... tions.html on April 02, 2016.